The lovely folks over at The Entertainer recently sent us over some goodies so that we could enjoy the perfect family games night together. The idea was to forget about our phones and technology for a while and enjoy some quality family time. “Life is more fun if you play games.” Roald Dahl. 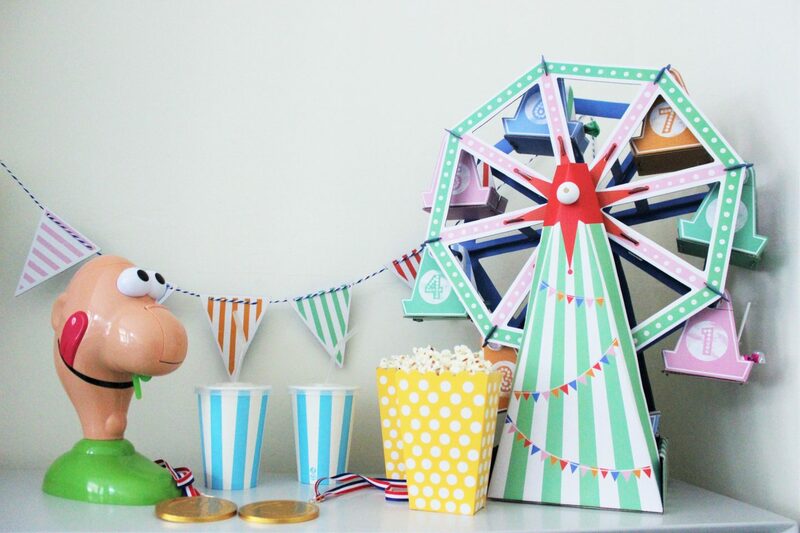 We receive everything we needed for a fun filled family evening, including Gooey Louie game, popcorn, popcorn boxes, drinks cups and straws, sweets, a sweetie ferris wheel and even chocolate medals for the winners! 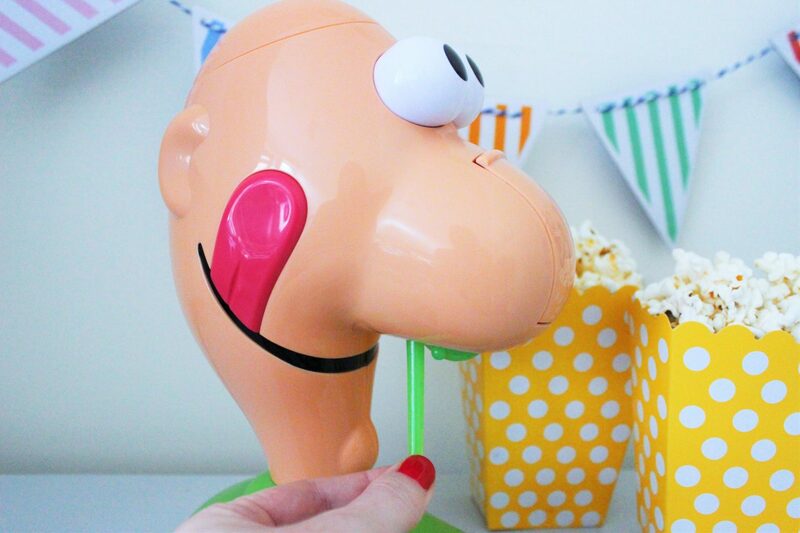 I’m sure you will have all heard of Gooey Louie before but if you haven’t, the basic idea is that you take it in turns to pull the ‘gooeys’ out of Louie’s nose and if you pick the wrong one his brain pops out! 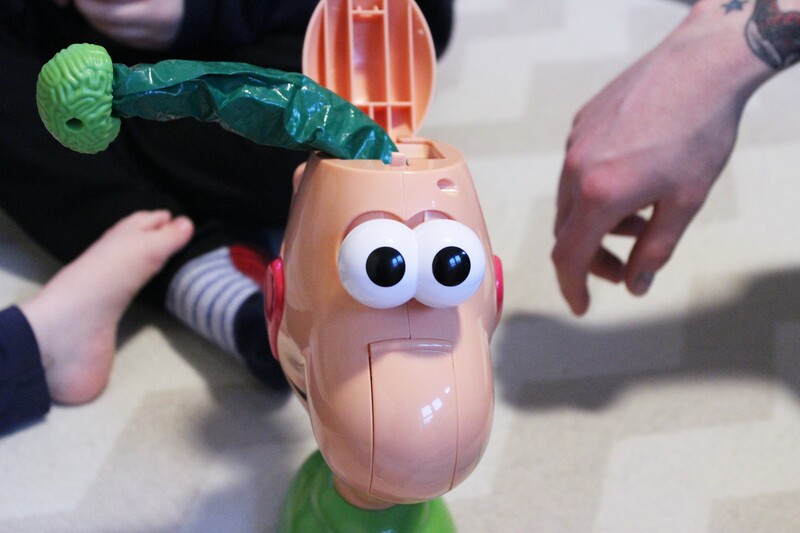 Get ready to ‘pick’ a winner when you go head to head with Gooey Louie. Take turns sticking your finger up Louie’s fat, hairy nose and have a good feel around to see what you can find. Pull out one of Louie’s many stretchy gooeys, it could be short or it could be long. Be lucky and all will be well, but pull the wrong gooey and Louie’ s eyes will bulge and his brain will explode! Sounds gross, right? It’s actually really good fun and we all had a great time playing the game and eating popcorn and sweets. It’s perfect for our children who are three and five years, as it’s simple and doesn’t require too much concentration from them! 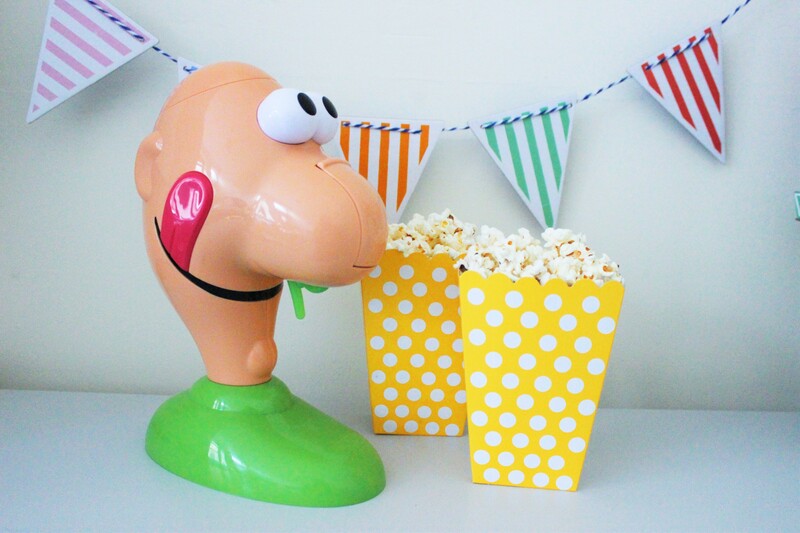 Gooey Louie is currently priced at £16 as there is 20% off at The Entertainer. What’s your favourite family game? 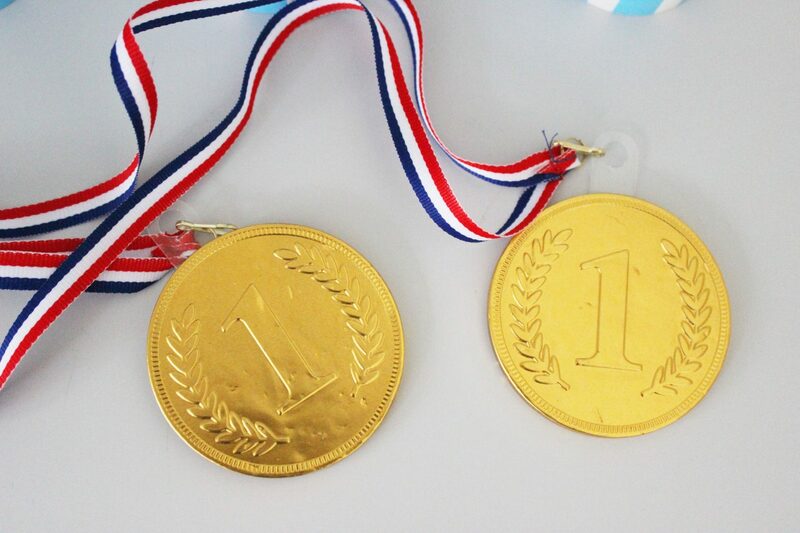 We were sent these items for the purpose of this post.